Robert (Bobby) Eugene Applebee, age 39, of El Dorado Springs, Missouri, passed away on Wednesday, November 19, 2014, at Cedar County Memorial Hospital. He was born on March 31, 1975, in Oakley, Kansas, to Edward (Ed) and Delores (Dee) Applebee. 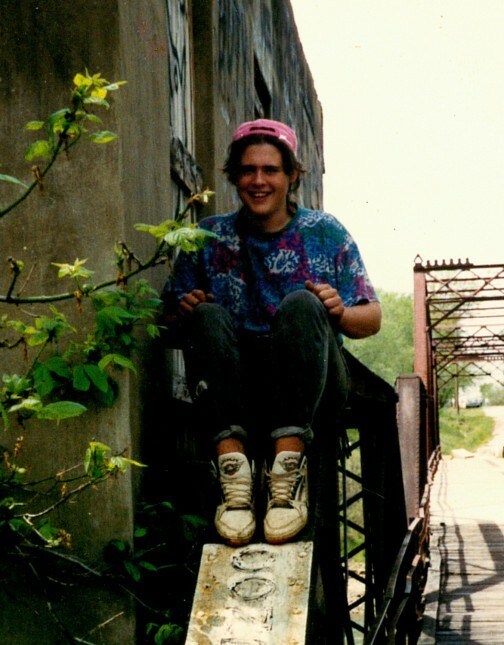 Bobby grew up in Caplinger Mills, where he loved to just hang out with family and friends. Bobby married Kathy Cates on April 21, 1996. To this union three children were born: Christopher Harden, Diamond Lee, and Aries Roland, all of El Dorado Springs. He had just become a grandpa and was so proud to have Laranna (Nikki) in his life. Preceding Bobby in death were his father, Edward (Big Ed); two brothers, Andy and Christopher; and many aunts and uncles. Survivors include his children, Christopher Harden, Diamond Lee, and Aires Roland; his granddaughter, Laranna (Nikki); his mother, Dee; two sisters, Rebecca Applebee and Tina Applebee, both of El Dorado Springs, and three nephews, Andrew Albert and Nathin Edward, of Kansas City, KS, and Robert Andrew (L.B. ), of Sheldon, MO. Bobby worked many jobs in his life, from the oil rigs in Kansas to the strip clubs in Springfield, so he could keep up his party lifestyle. He had many hobbies in life, but his two favorites were bead making and body piercing. Bobby loved his family no matter what, even through all the ups and downs of life. His kids were his heart and soul, and his nephews were as well. Most of all, his baby girl, Diamond Lee, had just made him the proudest grandpa in the world. Laranna Nicole, or Nikki, as grandpa called her was only three weeks old, but had given Bobby’s life true meaning again. He was a great son, brother, father, uncle, grandpa, and a great friend to many. We will all love and miss him so much.